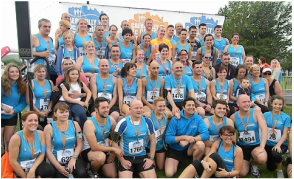 To become a member of Caerphilly Runners, you will need to complete an application form and pay the annual fee of £40 per member (for your 1st year). The fee includes your Caerphilly Runners vest and your registration fees to Welsh Athletics. You can pay online into to our club bank account (details giving when applying). Members renewing will only pay £25 for the year (this doesn't include a vest but does include your registration to Welsh Athletics). We also have social membership for £10 for the year (social members cannot vote in elections or the Annual General Meeting). ​Renewals: We are now also taking renewals from existing members. Welsh Athletics Membership runs from 1 April to 31 March each year. Members we register with Welsh Athletics in Jan/Feb/Mar are covered until March 31st in the following year. Applying: To become a member, or renew, please Click here for our online application form. At present we are unable to sign up under 16's as full members, as our insurance unfortunately does not cover them. Under 16s are permitted to run with us during sessions/events, on the condition they are accompanied by their parent/guardian at all times, as they remain their parents/guardians full responsibility. Thank you. Please Note: The committee reserves the right to refuse individuals membership.